Bespoke Shaker Doors Upgrades For IKEA Kitchens. Our custom Ikea kitchen doors for Metod or Faktum cabinetry will transform your IKEA kitchen into an individual living space. This means you get the quality and finish of a bespoke kitchen at ‘off the shelf’ prices! All or doors and drawers are designed specifically to fit Ikea’s cabinets. All holes are pre-drilled to ease fitting making it a simple exercise for your carpenter, builder or a self build DIY project. 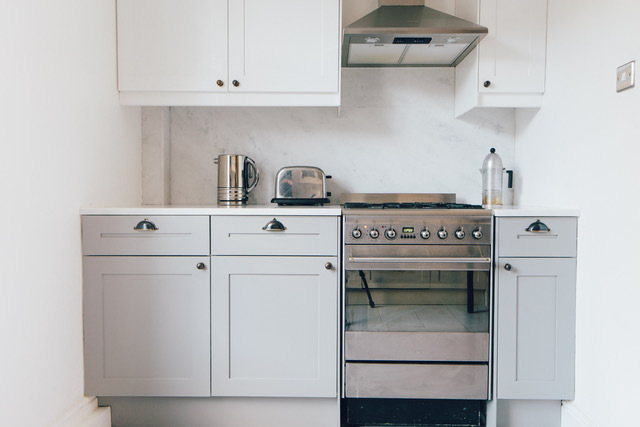 Whether you are looking to upgrade an existing IKEA kitchen or planning to purchase an entirely new IKEA Metod kitchen cabinet framework ready for upgrading, our bespoke cabinet doors are the ideal way to turn it into your dream kitchen. This service could save you as much as half of the cost of a fully handmade kitchen, while delivering the same look! We don’t just make shaker doors, why not fit modern handle-less kitchen doors fully finished in a paint colour of your choice and designed to fit straight on to IKEA’s units. Pick a colour from any mainstream paint supplier and let us colour match. Then grab some funky handles and let your culinary skills prevail. Have your needs changed since you bought your existing kitchen? Whether you’ve started a family and need more space, become less mobile due to illness or injury, started collecting wine, or experienced any other life changes, Foxstow can alter existing fitted cabinets by supplying replacement Ikea kitchen doors or matching items, such as wine racks or butchers blocks. An upgrade to existing fitted units is similar to upgrading new units – albeit, limited to your existing layout. We can provide you with all the expertise required to redesign and supply the best bespoke enhancements available. A simple 10 unit door and end panel upgrade can cost as little as £800 with some new handles as well. than buy the fitted framework from Ikea and commission us to build your bespoke doors and any other visible joinery elements you require to enhance it. to certain sizes, and arranged in such a way as to provide a particular type of living space experience. and end panels) to enhance this framework, giving you a room that looks fully bespoke at a fraction of the cost. 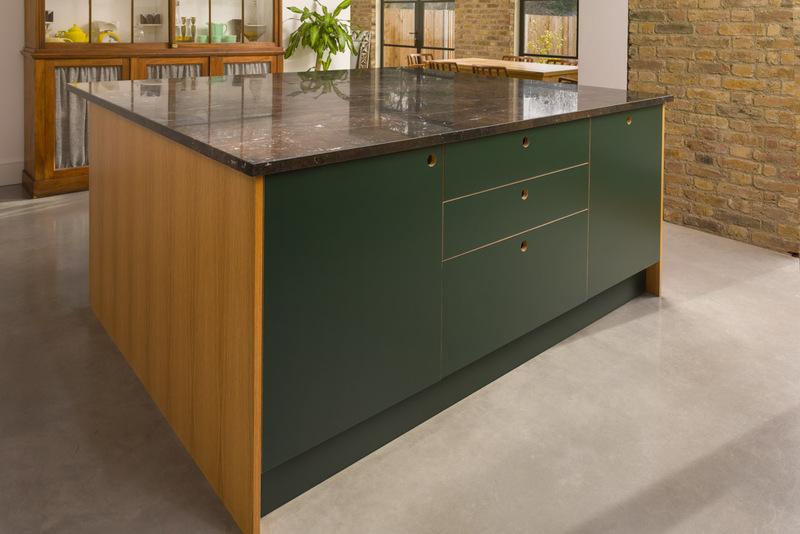 You may be happy enough with a purely functional set of kitchen units ‘on the inside’, yet want them to look like beautiful pieces of handcrafted furniture ‘on the outside’. Buying quality super fronts and commissioning bespoke cabinet doors puts the quality ‘up front’ and gets you a kitchen you can be proud of at a price you can be proud of! Perhaps you’re settled somewhere for the next few years – but not for the next few decades. If so you may want to create a beautiful and personalised living space on a more modest budget than you’d use for your ‘forever home’, buying and upgrading a new set of fitted units with our replacement kitchen doors is the ideal way to get the best of both worlds! When you choose to commission a set of bespoke shaker doors, maybe you would like an ovolo or ogee moulding. We can supply a wide range of detailing services to make your kitchen cabinet doors look exactly the way you want them to. Ironmongery can supply the perfect finishing touches to your bespoke kitchen doors. We are able to provide ironmongery to suit all your requirements, from handles, to hinges, to kitchen accessories like shelving and tea towel rails . The use of glass in kitchen cabinet doors has its technical and safety challenges, but our experienced partners are always able to handle those for us. The benefits of glass are well known: it makes a room lighter, gives it a clean look, and is particularly useful for organizational purposes. To take the first steps on this journey, you should check out IKEA’s 3D kitchen planner, if you don’t already have an IKEA kitchen. Alternatively, you can look through our IKEA upgrades FAQs to learn more about the process. Foxstow began as a general joinery making a wide range of commercial and domestic joinery products. And, although our reputation for exceptional timber doors eventually led us to specialise in the field of bespoke door making, we still operate a general joinery service capable of supporting our cabinetry door projects. This means that we can make more than just great doors for your IKEA kitchen cabinets – we can make entire pieces of replacement or complementary furniture, if necessary. 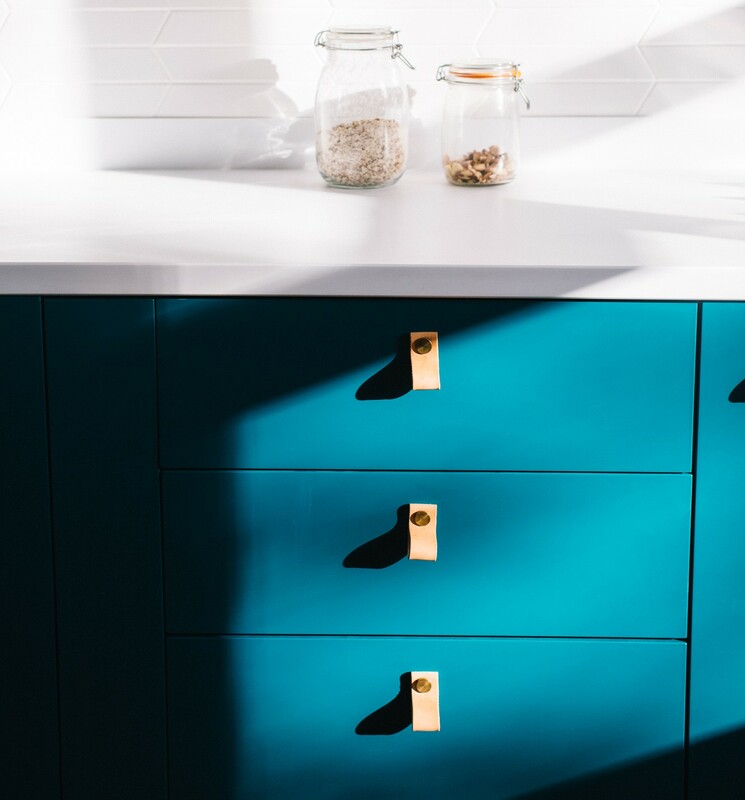 And we can also make a whole suite of supporting accessories, such as drawer fronts, wine racks, butchers blocks, and custom made joinery fixtures like plinths, pelmets, scribe and end panels, to enhance your IKEA fitted kitchen. We take our reputation as a bespoke door maker seriously, and have built it in part through the many clients who have asked us to upgrade their existing IKEA kitchen or bedroom and loved the result. Foxstow is amongst the first providers of this service to the public, and is intimately familiar with the specifications of all IKEA’s kitchen joinery, including specific kitchen types like METOD and FAKTUM. When you work with Foxstow to upgrade your IKEA kitchen, you can rest assured that you are working with an expert in the field, and one that has a long and blemish-free track record. To learn more about Foxstow and the services we offer, click here. 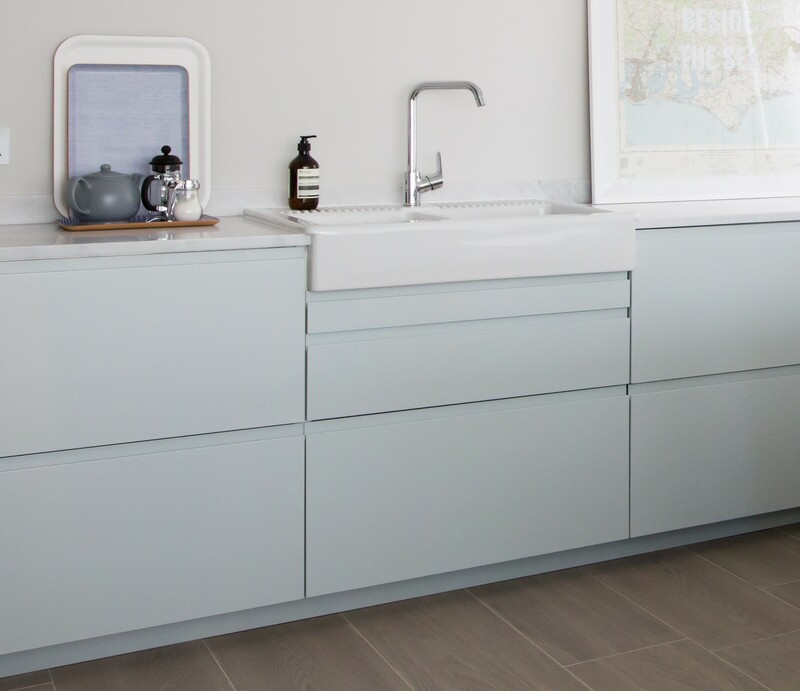 All of our doors are created to IKEA kitchen specifications, but are made to bespoke requirements, thus we don’t stock ‘off-the-shelf kitchen doors, However, we do have a gallery of our most popular types of shaker door, which can be created extremely quickly. Our gallery also includes pricing information, to help you get a handle on how much your bespoke door may cost you. Please don’t mistake this for ‘everything we can do’. Given the wide range of kitchen cabinet options available to our customers, it is simply not possible to provide such a comprehensive guide – therefore, consider this a starting point for your own bespoke door project.